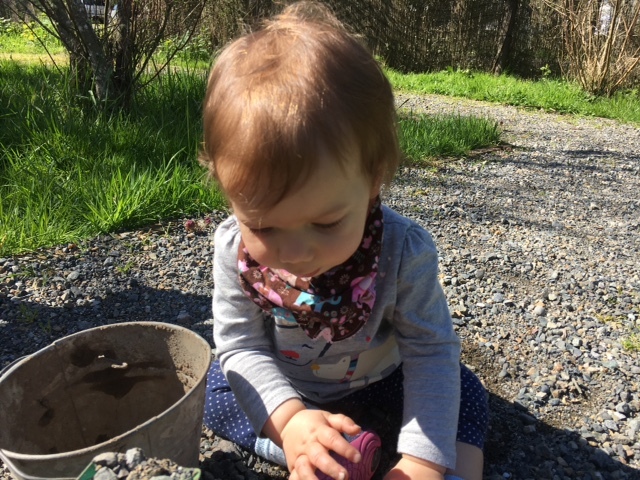 Join us for our spring Tiny Explorers series in Bend, offered on Thursdays in June from 10-11am. Tiny Explorers encourages new parents to kickstart a healthy life enjoying the outdoors by getting their little ones outdoors starting at a young age. The program is targeted at new families with infants and toddlers, from birth to 3 years old. Each week has a different theme and we’ll explore the outdoors, incorporating activities as we go. Parents will also learn safety tips for bringing little ones outdoors and more ideas for getting your family outside. Families with newborns to 3 year olds are welcome, and older siblings are invited to attend. Activities will encourage exploration of the natural world, connecting with our senses, and play. The activities can be adapted for your child’s age and development, and we’ll provide a space for families to network with each other. Families with newborns or infants that aren’t mobile should bring a baby carrier and blanket. Families that qualify for the Oregon Health Plan can access free baby carriers and other outdoor gear, including a sunhat and sunscreen. The program is offered as an 8-week series, and families are welcome to attend as many events as they are able. Program dates: Thursdays, June 7th, June 14th, June 21st, and June 28th. Inclement weather: The program will occur, rain or shine, with indoor adaptations for inclement weather. Questions? Contact Katie Chipko at katie@childrensforestco.org or (541) 383-5592. To stay up to date on Tiny Explorers events, opt-in to receive text message updates by texting tinyexplrs to 77948. You will receive no more than six text messages per month, and your information will not be shared with other groups. You can also RSVP to events using the text message service.